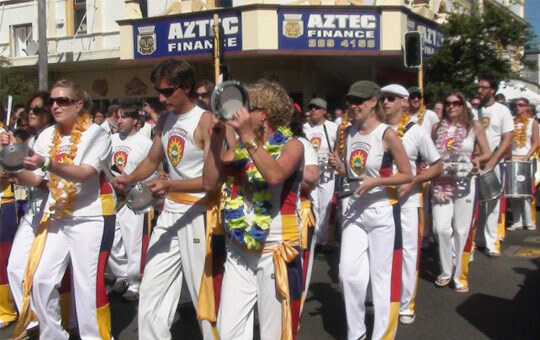 Originally formed in November 2001 to perform in the Cuba Street Carnival, Wellington Batucada endeavors to replicate the authentic samba sound playing a variety of Brazilian rhythms including samba batucada, partido alto, samba reggae, samba funk, and baion. We have been blessed through visits by several superb Brazilian and non-Brazilian samba teachers who laid the foundations for our music. New rhythms and musical fusions are being explored and developed to reflect the wider cultural influences here in New Zealand, and to create a form of live dance music that’s uniquely ours. Check out photos and video from some of our events in the gallery and blog pages. We are an all-inclusive group – anyone can join regardless of experience or ability, and we provide authentic Brazilian instruments for those who do not have their own. Currently Wellington Batucada has over 120 members, with 50-70 members regularly coming to our weekly rehearsals. 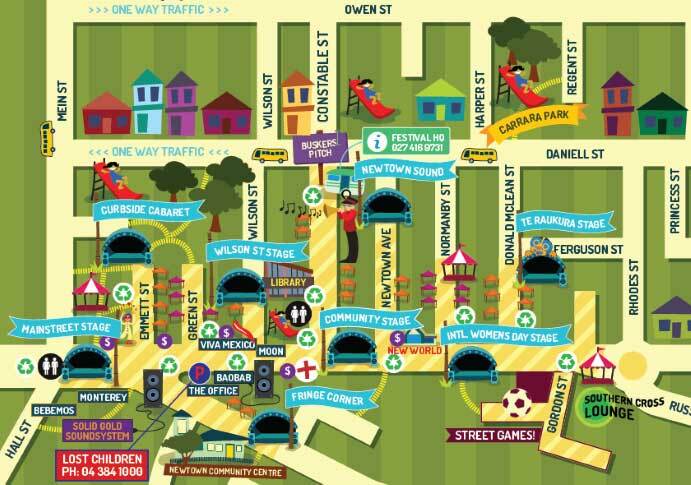 We are in demand to play at many parades, festivals and events, including the Cuba Street Carnival, Wellington Rugby Sevens, Newtown & Petone Fairs and in 2011 the Rugby World Cup Festival of Carnivale. "The Batucada moment at the Newtown Festival is probably the biggest part of the day... Just amazing!"